Stuart grew up on the farm and was always involved in some way. As a child he helped his father and grandfather however they needed him. Stuart went away to University in Wales to secure a degree in Agriculture and Business Studies, but he would return home every summer to help with the harvest. 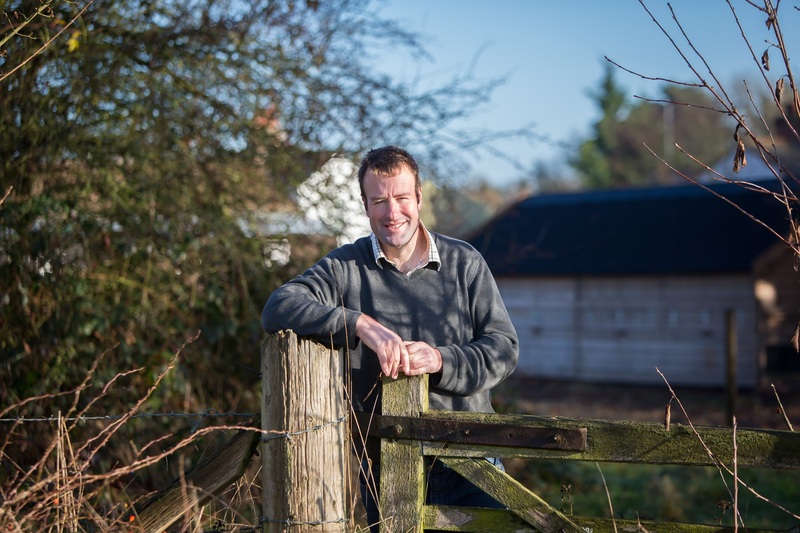 Stuart was always interested in the farm and saw himself coming back to live at Hammonds End with his family one day, but first, he was keen to know more about the wider farming sector. He worked at the Ministry of Agriculture Fisheries and Food, the Food Standards Agency and Defra helping the beef industry tackle the threat of BSE. He installed a BSE testing regime and helped the farming industry to improve the way it handles animal disease outbreaks. His experience was in considerable demand and he was brought in to help manage Foot and Mouth in 2007 and the Bluetongue outbreak in 2008. Stuart returned to Hammonds End Farm in 2012 for good, to take over from his father Howard. Although Howard still lives on the farm and acts as a great sounding board for any decisions about the farm – it’s now mostly down to Stuart. Stuart was elected by farmers from across Hertfordshire to lead the local branch of the National Farmers Union (NFU). He is regularly invited to speak on behalf of the farming industry in the national media and represents farming views to government. Emma admits to being a bit of a “townie” having not lived on a farm until she and Stuart moved to Hammonds End in 2005. However, from day one on the farm, she fully embraced country life and has been keen to get stuck in. So much so that a few years ago she decided to extend the farm’s produce to eggs. She now has 150 chickens which provide eggs for over 50 local families – and the waiting list just keeps getting bigger! Emma’s number one priority, however, are her and Stuart’s two boys Dexter and Monty. 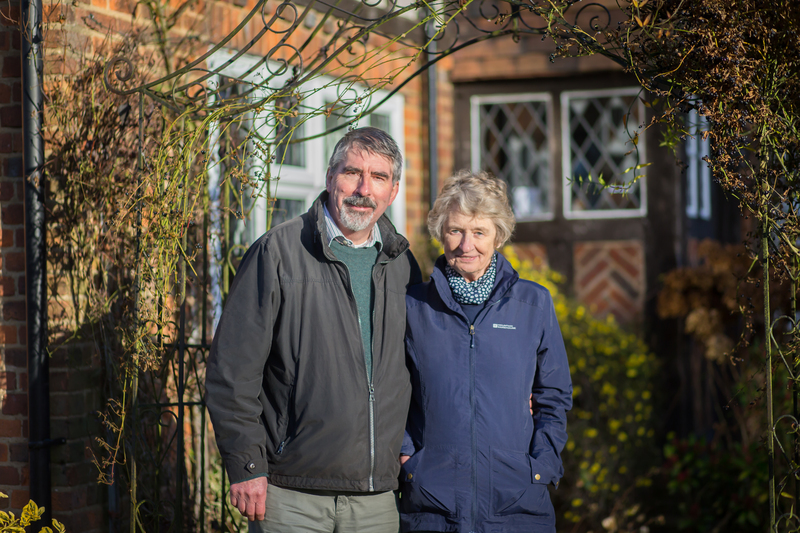 Stuart’s parents Howard and Ginny Roberts live in a house next to Stuart’s and whilst they are semi-retired, Stuart often counts on their experience and advice, “It’s a family business, so I have the advantage of being able to speak to Mum and Dad whenever I need advice - I just walk 30 seconds out my front door. Believe me, it comes in handy!” says Stuart. 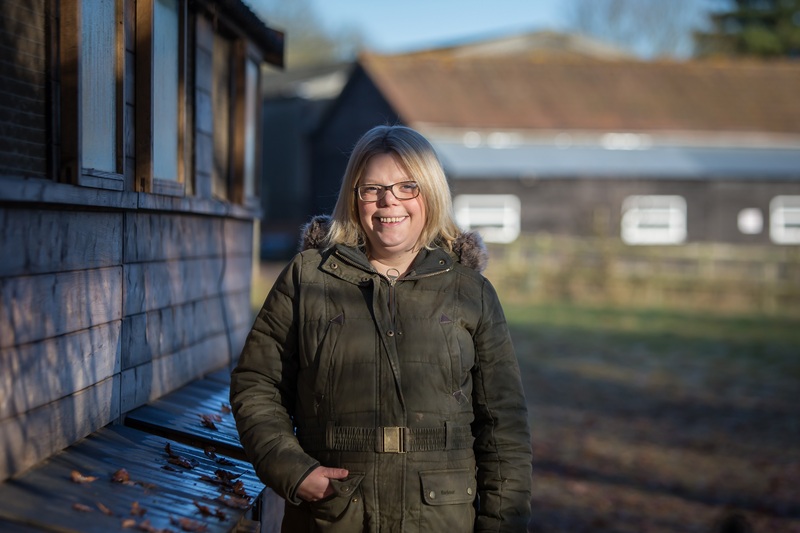 Hammonds End really is a family farm – all the members of the Roberts family live on site! Stuart’s brother and wife, Tim and Sarah, also live on the farm with their kids Tom and George – who enjoy playing with their cousins Monty and Dex. Chas (Charles) also lives on the farm. He has worked at Hammonds End for over 50 years and is considered a member of the family.